Enhancing practical efforts to uphold the language rights of millions of ethnic Tamil-speaking Sri Lankans could play a key role in the country’s long-term peace and reconciliation, say analysts and activists. "Language parity is one of the biggest challenges to Sri Lanka's peace and reconciliation efforts, and indeed its future. Without it, I doubt we will ever be able to move forward,” Wijedasa Rajapakshe, a human rights lawyer and writer on jurisprudence, told IRIN in Colombo, the capital, which is located in the south of the island. “This has been a historical grievance. Though one of the national languages, the Tamil language’s applicability has been largely confined to the areas where Tamil-speaking people are the majority,” said Suresh Premachandran, a former militant, now a member of the Tamil National Alliance, the largest political grouping in the northeast. The language issue, viewed by many as a contributing factor to the civil war from 1983 to 2009 between Sri Lankan government forces and the Liberation Tigers of Tamil Eelam (LTTE), is gaining prominence once more, but little has been done to address it. Tamils comprise 12 percent of the country’s 20 million inhabitants, Muslims make up 8 percent, and 73.8 percent are Sinhalese, 2012 government figures showed. Tamil is constitutionally recognized as one of two national languages and is the mother tongue of one-fifth of the population, spoken mainly by Tamils and Muslims. Nonetheless, Tamil has yet to enjoy parity of status with Sinhala, which has long been a divisive issue, Tamil speakers say. 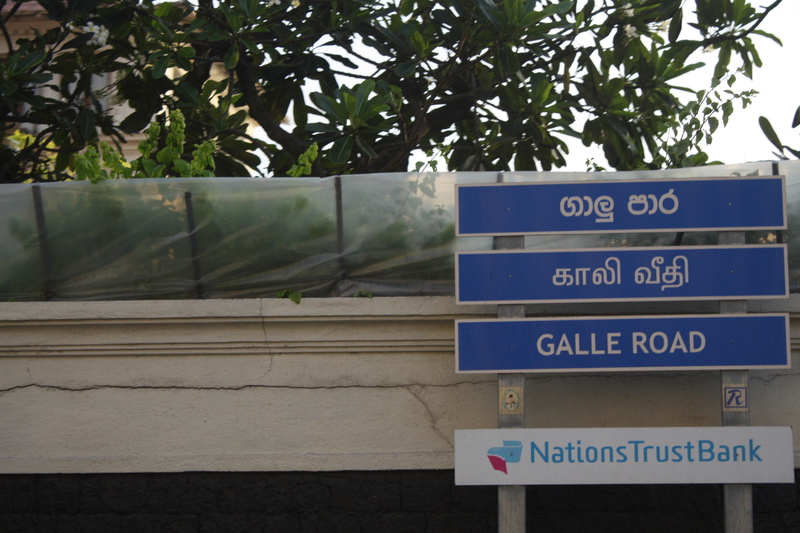 If you need a driving license or passport, or visit a government hospital in Colombo, you will likely need a translator to help you fill in the forms, while police reports - even in mainly Tamil-speaking areas - are often in Sinhala. Many Tamils claim they are routinely asked to sign police reports they don’t understand.” The whole thing is degrading for Tamils,” the 26-year old said. A Sinhala-only language law was passed in 1956 and although it was never fully implemented, Tamils saw the move as discriminatory, fuelling longstanding ethnic tension between the two communities. For many Tamils, language was the tipping point in their feeling of disenfranchisement, and the spark to ethnic riots in 1958, which left hundreds dead. Sinhalese say it was an attempt to move away from English as a national language - not to isolate Tamils. Chapter IV of the 1978 Sri Lankan Constitution states that Sinhala and Tamil are both recognized as official national languages, while English is the link language. Despite this recognition, many believe the wording in the constitution is faulty, and elevates Sinhala - with the exception of areas in the north and east - as the official language of Sri Lanka, placing Tamil in a secondary position by default. Under Article 18 of the constitution, as amended by the 13th Amendment in 1987, “the official language of Sri Lanka is Sinhala (Article 18.1), while “Tamil shall also be an official language” (Article 18.2). To avoid language discrimination, the law also states that citizens have the right to services and communication in either Tamil or English in areas where Sinhala is the language of administration, with access to translators, but in practice this is not the case. Activists say many Tamils have to transact much of the official business that affects their daily lives in Sinhala, and there are reports that the government is making consistent efforts to promote the use of Sinhala among civil servants in the mainly Tamil-speaking north. Most of the 15,000-strong police force in the north cannot speak Tamil. Large swaths of the population in the north were cut off from the rest of the country during 27 years of war and cannot speak Sinhala, while thousands of Sri Lankan soldiers now in the north do not speak Tamil. This compounds the difficulty of communication and leaves both sides with little choice but to speak to each other in English. Even so, daily interaction is often difficult as many ordinary Sri Lankans outside of government cannot speak English. Some reports suggest that just 10 percent of the population can speak English competently. “It’s a strange situation. We’re all Sri Lankans, but can’t speak to each other in each other’s language,” said one Jaffna resident. How Sri Lanka’s education system embraces its language diversity is also problematic. In terms of the constitution, “A person shall be entitled to be educated through the medium of either of the national languages,” but Tamil has yet to be promoted for greater integration at the school level, say activists. 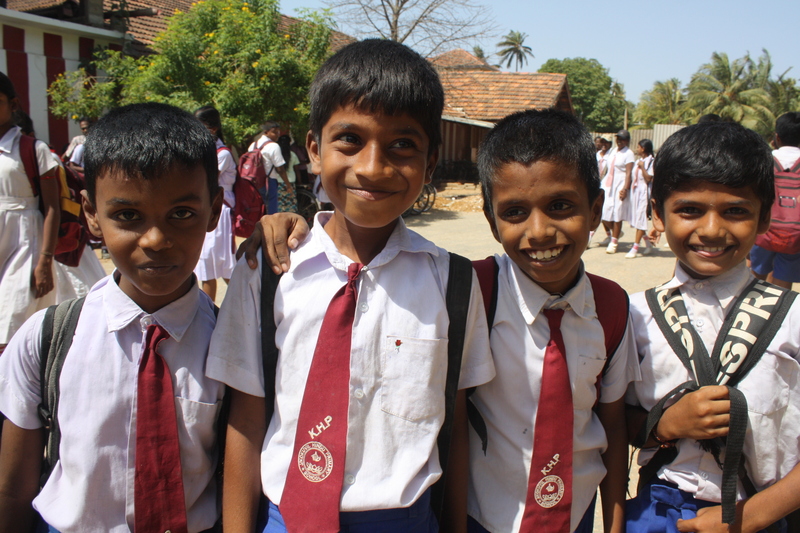 “It’s a tool that is used to divide children and to actually feed [Tamil and Sinhalese] nationalism,” says Tahirih Qurratulayn, director of the Sri Lankan Institute of Human Rights. Although Tamil is taught in schools, it has failed to produce a significantly bilingual nation. Most Tamils living in the south of the country speak Sinhala, but very few Sinhalese speak Tamil, and few of the increasing number of Sinhalese tourists visiting the north are able to converse easily with their fellow Sri Lankans in the north. As Sri Lanka works to rebuild and restore stability in the north, where hundreds of thousands of displaced have returned to their homes, many believe the opportunity to address this issue is at hand. “Ensuring language parity is as important as resettlement and rehabilitation,” Wijedasa Rajapakshe said - a position echoed by others. A recent report by the Colombo-based Centre for Policy Alternatives (CPA), notes that language is an ideal instrument of unification in post-war Sri Lanka. “Language rights are an integral part of identity. Legal protection of this right is inadequate. Implementation is important,” said Pakiasothy Saravanamuttu, executive director of CPA. Many Tamil-speaking Sri Lankans feel their language is being undermined in an effort to suppress their cultural identity. “Successive governments have failed to implement the country’s official language policy... [which] has contributed to keeping communities divided by creating an enormous language barrier,” said Shanthi Sachithanandam, an activist working in the northeast. Wijedasa Rajapakshe said a fresh starting point could be the implementation of recommendations made by the 2011 Lessons Learnt and Reconciliation Commission (LLRC), a post-war, government-appointed commission set up to look into the root causes of ethnic strife. Creating greater awareness of linguistic and cultural affinities among the different communities would be an effective instrument for promoting greater reconciliation, the LLRC report said, and suggested that this be given the highest priority. Since the war, the government has made a number of efforts to raise greater awareness of linguistic and cultural affinities in the north, but has done less in the south. Recommendation 9.277 calls for the national anthem to be sung in both languages at all national events to further unity and reconciliation. However, during this year’s Independence Day celebration in Colombo, the tradition of singing the song only in Sinhala was continued.